Dugald Stewart Monument is a memorial to the Scottish philosopher Dugald Stewart (1753–1828). 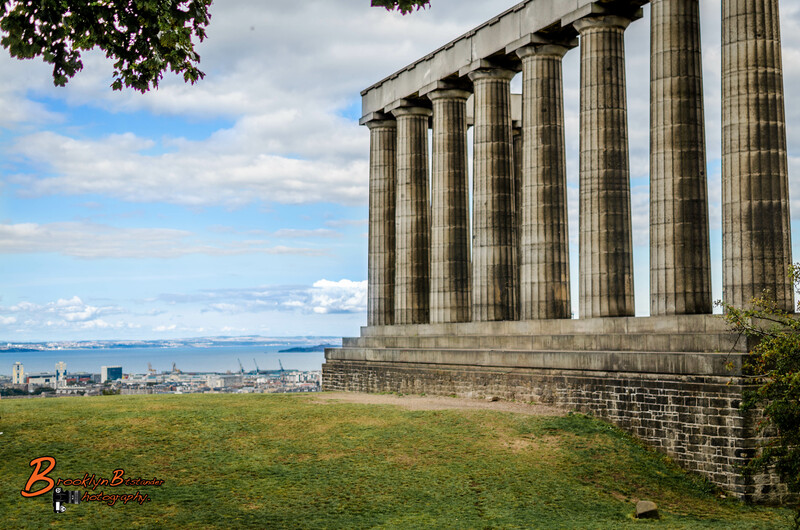 It is situated on Calton Hill overlooking Edinburghcity centre and was completed in August 1831. The monument dominates the top of Calton Hill, just to the east of Princes Street. It was designed during 1823-6 by Charles Robert Cockerell andWilliam Henry Playfair and is modelled upon the Parthenon in Athens. Construction started in 1826 and, due to the lack of funds, was left unfinished in 1829. This circumstance gave rise to various nicknames such as “Scotland’s Disgrace”, “Edinburgh’s Disgrace”, “the Pride and Poverty of Scotland”, “Tait’s Folly” and “Edinburgh’s Folly”. 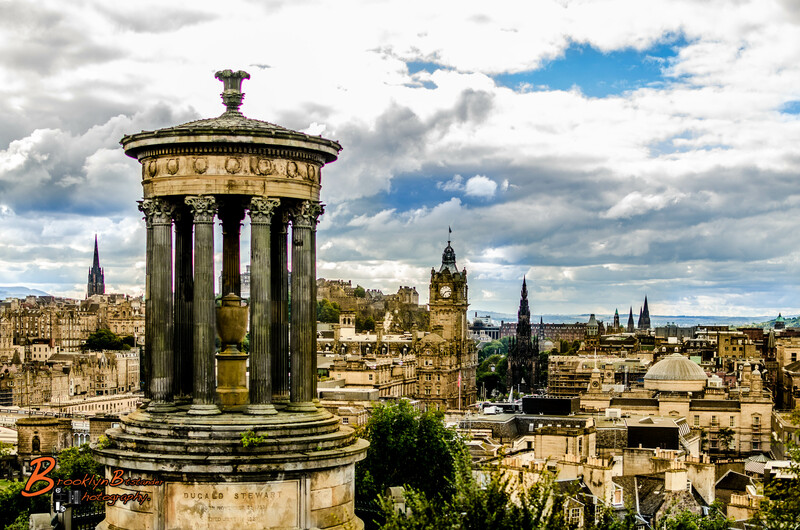 This entry was posted in Photography and tagged architecture, calton hill, Cloud, colour, digital, Edinburgh, Holiday, Lightroom, Photography, Scotland. Bookmark the permalink. Love both of these photos. But the first one……….the detail is amazing. Thanks. Great image of a classic scene. I have a similar photo posted on my blog from a trip to Edinburgh not too long ago. You can certainly see the ancient Roman influence on the Galwegians and Picts.